Choosing a TEFL course is a hard decision. 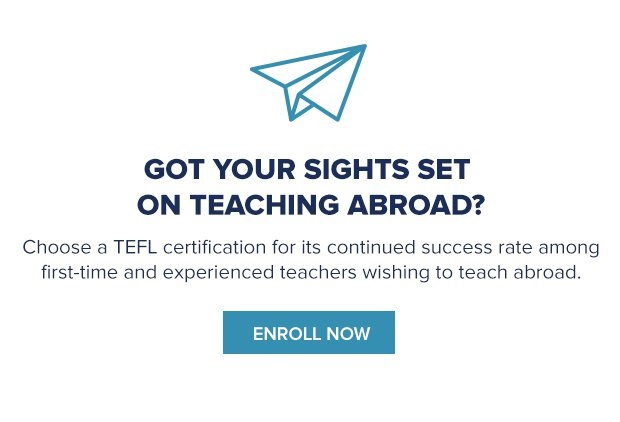 One that’s only getting harder to make, due in no small part to the slew of targeted advertising and marketing campaigns that TEFL course creators use to get your attention. Worn down by the one-way messaging TEFL certificate providers put out there, touting how awesome their course is? Struggling to find a personal recommendation from someone who’s actually completed a TEFL course? Then online reviews are probably next in line as your most trusted source when it comes to making an informed TEFL course purchase. A negative review, in particular, can be incredibly off-putting. Not to mention those gushing TEFL course reviews online. How can you know if they’re the real deal? Remember: Online TEFL course reviews are subjective. Online reviews can be helpful gauges when weighing up which TEFL course to take, so long as you keep in mind all the caveats that come with them. How can you tell the difference between legitimate online reviews and those written by someone who’s being paid/has a vested interest in selling a course to you, for example? First, we advise you to weed out the most polarized perspectives you find online. People are much more likely to write reviews if they have extreme emotions about something – it’s just human nature. This is why you see so many rave reviews (and so, so many rant reviews) online. Bear in mind when reading TEFL graduate reviews that everyone has different needs and personal preferences. One aspect or feature of a TEFL course might irk a student, like the lack of live tutor feedback. But it could be the key selling point for you, if you prefer working through content at your own pace! In short, YMMV. When you’re reading reviews, try to find ones that are closer to the middle of the road, as these tend to be more genuine. Five (or zero) star reviews should trigger some healthy skepticism on your part. Check out the dates on the reviews you find online. Did a whole bunch of positive reviews crop up on the page, seemingly at once? If so, you’re probably looking at sketchy, fake reviews. Another tip: A mix of good and bad reviews could show that a TEFL course provider is simply being more transparent than their competitors, and may well signal that these reviews displayed are not fake or filtered. Popular places to find TEFL course reviews online. We know our buddy Google is just a click away but how can we ensure the reviews we find there are reliable and unbiased? We’ve got you covered with our list of some of the best places to find TEFL reviews online, below. We know it’s easy to question whether glowing reviews on sites are really authentic. Our advice? Check out the more moderate reviews first because they tend to be more detailed (and honest). TEFL Course Review is home to thousands of in-depth TEFL, TESL, TESOL and CELTA course reviews left by graduates across over 50 countries. All of which are painstakingly moderated by the TCR team to preserve the authenticity of every review. Included on TEFL Course Review is our very own OISE University of Toronto TEFL. If you have an idea of the course format that suits you best (online or onsite) you can also filter the reviews to help make your decision easier. They also have a filter for the highest rated and most reviewed TEFL certification programs. Pretty handy all in all! Go Abroad features hundreds of TEFL reviews from current and former students and is a great resource for searching for the best TEFL courses around and programs for teaching English abroad in general. TEFL couse reviews on Go Abroad run the gamut from online and classroom-based certificates to in-country/guaranteed placement TEFL course options from all around the world. You can find International TEFL Academy reviews and more on Go Abroad. If you’re in a hurry and have an idea of what you’re looking for, you can quickly search for a TEFL course by name or by your desired location. If you get a ton of results, Go Abroad uses a star rating system to help you narrow down your list of potential TEFL courses in a matter of seconds. Bonus: Go Abroad also feature TEFL program reviews with real participants, so be sure to check those out! Go Overseas has a pretty similar review set up to Go Abroad. You can quickly filter through tons of TEFL, TESOL and CELTA course reviews by country and course format. Instead of a star system, Go Overseas give different course providers an adorable 👍 for stuff like quality of instruction, support, job assistance, best value, etc., all awarded based on previous student feedback. Never one to be left out, Go Overseas also has a whole bunch of alumni interviews to give you more insight into what makes TEFL course option unique and awesome. Got a shortlist of potential TEFL courses in mind? Don’t forget to check out the star ratings and reviews on the individual company Facebook and Google pages. At the OISE University of Toronto TEFL, for example, we encourage all of our students to leave reviews on our Facebook page. And we don’t remove the less-than-glowing reviews. After all, we want to make our course better based on specific feedback from past students. Good or bad, we’re here to listen! While not all TEFL course providers share our philosophy, it is a little tricky to get a negative review taken down on Facebook so you can feel relatively confident those are mostly legit reviews. Reddit and Quora are a goldmine for crowdsourcing advice and questions on pretty much any subject under the sun. They’re also a hub for TEFL course reviews – as is YouTube. Whether these reviews are all neutral or unbiased (or even based on a real experience of having taken a TEFL course), you’ll need to make the judgment call. Just be aware that select TEFL course providers do pay social media influencers to endorse or promote their course. While YouTubers should add proper disclaimers to sponsored content, sadly, this doesn’t always happen. One last tip before we go: See whether a TEFL course has the option of connecting you directly with one of their past students. This will give you the chance to ask them your burning questions directly. Happy TEFL comparison shopping – you’re getting SO close to making your dream of teaching English abroad a reality!